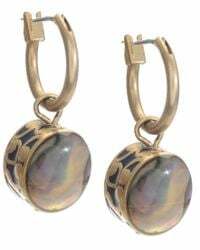 See more Kenneth Cole Earrings. We check over 450 stores daily and we last saw this product for $26 at Macy's. Add shimmer to your summer style with breezy shells. 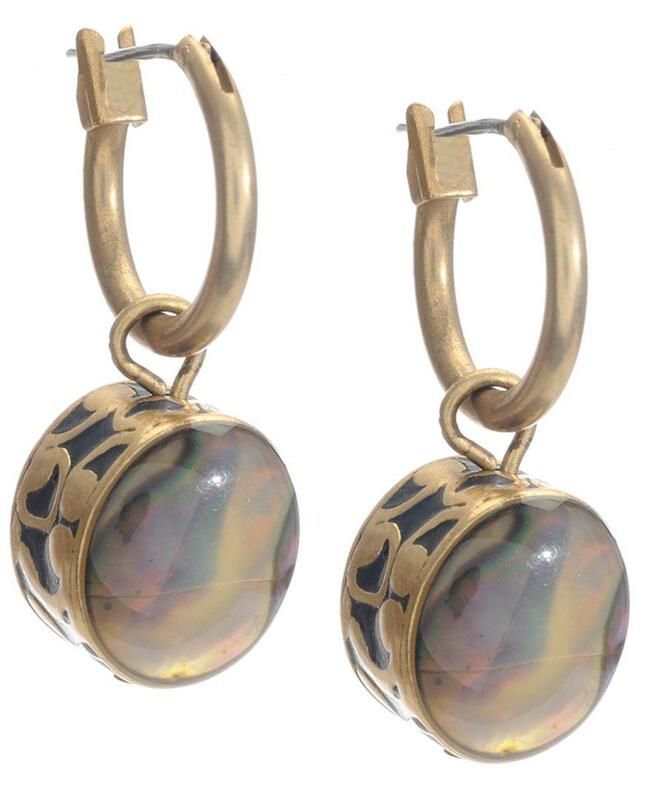 Kenneth Cole New York earrings feature a traditional hoop design accented by an abalone shell drop. Crafted in gold-tone mixed metal. Approximate drop: 1-1/4 inches. Disclaimer: Photo may have been enlarged and or enhanced.